Congratulations for completing the Better Reading Partnership! 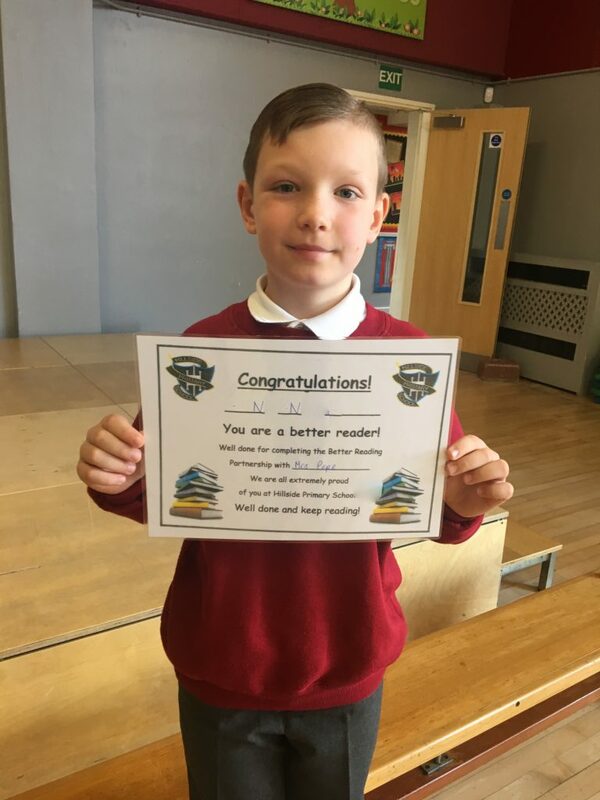 He has spent the last ten weeks working with teaching assistants in school to improved reading pace, fluency and comprehension skills and have worked hard with his parents at home. Well done for making great progress!